A library is a place where you will come across a plethora of books, periodicals, newspapers, audio CDs and Video CDs that best suit the needs and requirements of the people. Furthermore, a Library could be best described as a wealth of resources. It is one of the important places where you will be welcomed with a bundle of knowledge. Having said this, the bundle of knowledge is neatly wrapped and loaded into books which are further arranged in a standard storage option. There are many storage options that can be considered for storing books, files and CD’s, wherein shelving is one of the most preferred choices. Library Shelving is an important source of storage, wherein the books are stored categorically to make it easy for the staff as well as the members. Let me walk you through some of the reasons which will explain the reasons for choosing a Library Shelving. Read on to find out. A library is one such place that is flooded with books, paperwork, DVDs and various periodicals. To ensure that there is a sense of organization, you need to properly arrange these materials and shelving would be one of the best options to consider for bringing in a sense of organization in the Library. It provides a definite space to store all the books and materials in a systematic way, which ultimately brings in a sense of organization in the library. These storage solutions are available in a variety of color, design and pattern. This makes it easy for storing as well as identifying books. These shelves can be painted in different colors to store books of different categories. This consequently helps in the segregation of books. 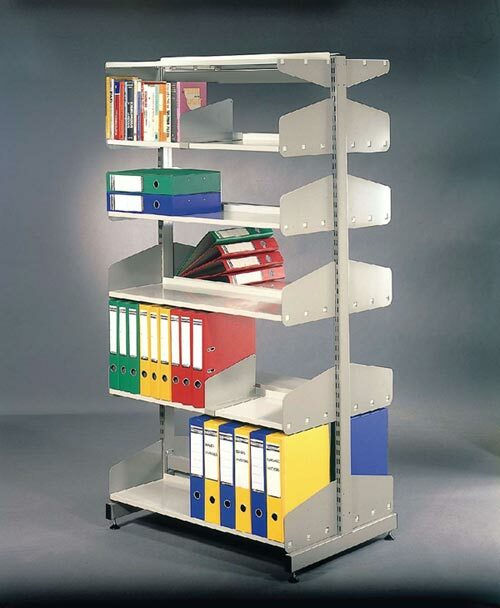 A Library Shelving helps in considerably saving your time and energy. As all the things are neatly arranged in the storage racks it becomes easy to find and retrieve the relevant books without wasting much time. Moreover, you can segregate the shelves with different colors or mark them with codes to make it even more easy to store and locate the desired material. It is considered as one of the best space-efficient storage systems, wherein a plethora of books and various other materials can be stored effectively. As it provides space to all the books, you can be assured of a clutter-free surrounding as they would be properly arranged on the respective shelves. You will come across a variety in the materials used, designs, texture and many more aspects. There are different types of shelvings available in the market. Wooden shelving, mobile shelving, technic library double sided shelves and many more options that can be considered for storage in a library. A wooden shelving would be one of the best options if you are intending to give a classic look to the surroundings. Plastic shelving is yet another type of storage wherein you can store periodicals, paperwork and various other light materials. Metal shelving can be very well used to bring in a more dense and sharp look to the surroundings. You can pick the most relevant storage option to grace your library. Apart from the standard shelving options available in the market, you can also tailor-make this storage solution as per your needs and requirements. Whether it is with colors, designs or patterns, you can very well get it customized as per your choice. Taking into consideration the decor you can make a choice that is relevant and justifiable. Storing books and important papers on the shelves not only provides a place of prominence, but also improves the accessibility factor. One just needs to run their eyes over to find the desired book or paperwork. Also, if the shelves are coded it becomes even more easy to access books without putting much efforts into searching. This type of storage solution is available at an economically justified price. You need not spend oodles of money to store all the books and paperwork in the library. It provides considerate spacing to accommodate all the books within a reasonable price. Above-mentioned are some of the benefits that you will come across when you generously invest in a library shelving. A shelving in the library is one of the best amenities to bring in a sense of organization and management to the premises. It makes the best use of floor spacing along with providing the perfect place to store books and various other materials. Hence, do not hesitate to invest in a good and reliable form of shelving for your library storage requirements. This entry was posted on Thursday, June 28th, 2018 at 6:10 am	and is filed under Lockers. You can follow any comments to this entry through the RSS 2.0 feed. You can leave a comment, or trackback from your own site.